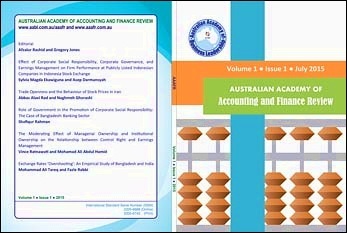 Australian Academy of Accounting and Finance Review (AAAFR) is accepting papers for its next issues. Please submit your paper by creating an account and logging in your account. Australian Academy of Accounting and Finance Review (AAAFR) is currently recruiting reviewers. Please create an account to be able to join the review team.